February 25, 2011 by Fr. 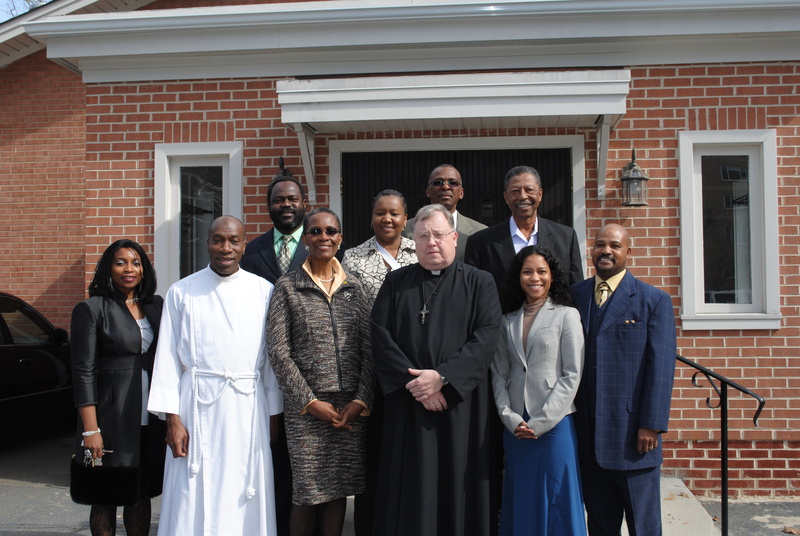 C.
On Septuagesima Sunday, February 20th, Saint Alban’s hosted the Association of Jamaicans in Richmond for a Mass to mark the beginning of the term of the Association’s new president, Richard Thompson. Saint Alban’s associate priest Fr. Carleton Clarke, a native of Spanishtown, Jamaica, celebrated and preached at the 11:00 a.m. and Canon Nalls delivered the apostolic greeting to the group from the Rt. Rev. William McLean. In addition to members of the Board and from the society at large, The Hon. Beryl Walter-Riley, Honorary Jamaican Consul, and the Honorable Patsy Pink, former member of the Jamaican parliament. The Association is a group dedicated to extending the Jamaican culture in our Richmond communities. Saint Alban’s is proud to host the meetings of the Association’s board, and sends its prayers to all for a successful year.